The Institute of Science, Technology and Public Policy at Maharishi University of Management presents a visionary conference event titled, Our Conscious Future. On Saturday, April 20th, eight remarkable thought leaders and innovators will converge on the MUM campus to present TED-style talks that will go right to the heart of what it means to be fully human in the 21st century. Each speaker will explore different facets of mind, body, society and consciousness and present the most recent discoveries and solutions to help enhance individual life and change the world. These ideas are emerging to create new paradigms for humankind—paradigms that can potentially enrich individual life and change the world. The short presentations, featuring world-class speakers and local luminaries, will be in the style of the intellectually stimulating TED Talks that are popular on the Internet. 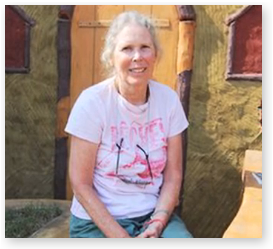 Dr. Pamela Peeke, internationally-renowned physician, scientist, “medutainer” and expert in the fields of nutrition, stress, and fitness explores the neurological basis of food addiction: Your Brain’s Reward Center: Hacked By a Cupcake. Father Gabriel Mejia, a renowned humanitarian who has rescued over 100,000 children off the streets of Columbia, restoring their rights and dignity, offering them a brighter future: Love and Transcendence: The Secrets of Lasting Rehabilitation. Thomas McCabe, mathematician, entrepreneur, author and software pioneer, who has shifted his focus from an exploration of how algorithms think to the math of how we think: Inner Genius, Empathy & the Math of Your Mind. John Hagelin, world-renowned quantum physicist and peace proponent has forged a connection between quantum mechanics, our inner experience, and lasting peace: Higher States: Harnessing the Power of Consciousness to Fulfill Your Desires and Change the World. Robert Keith Wallace: from his breakthrough discovery of a fourth major state of consciousness to recent developments in the brain signatures of high-performance individuals, this ground-breaking scientist continues to expand our vision of human potential. Dr. Wallace will present The Neurophysiology of Peak Performance, with neuroscientist Fred Travis who has published papers on this topic. Lonnie Gamble: with the mind of an engineer, the dedication of an educator and the heart of a community activist, this sustainability bioneer has blazed a visionary trail in the sustainability movement: The Sustainability Revolution & the Transformation of Humankind. 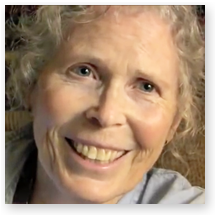 Prudence Farrow Bruns, Sanskrit scholar and film producer, the meditative muse for the Beatles’ “Dear Prudence” offers her personal insights on the evolution of yoga in the West, beginning with her seminal time in India with Maharishi and the Beatles: The “Dear Prudence” Story. Special Music Performances by the Chamber Singers of Southeast Iowa, MUM’s International Ensemble, and more. Additional Speakers to be Announced. Admission is $25 general, $15 for staff, faculty, and IAA, and $10 for MUM students. 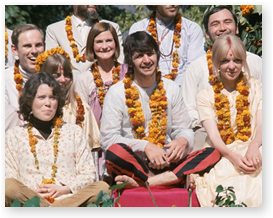 Founded in 1971, Maharishi University of Management (MUM) offers Consciousness-Based℠ Education, a traditional academic curriculum enhanced with self-development programs like the Transcendental Meditation® technique. Students are encouraged to follow a more sustainable routine of study, socializing and rest without the typical college burnout. All aspects of campus life nourish the body and mind, including organic vegetarian meals served fresh daily. Located in Fairfield, Iowa, MUM is accredited by The Higher Learning Commission and offers bachelor’s, master’s, and doctoral degrees in the arts, sciences, humanities, and business. Visitors Weekends are held throughout the year. For more information, call the Admissions Office at 800-369-6480 or visit http://www.mum.edu. See Our Conscious Future Highlights here. 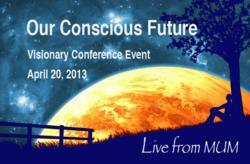 Visit the Consciousness Talks Archive to see these and other inspiring presentations.